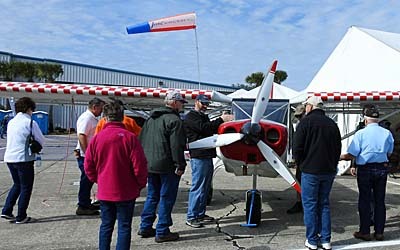 Day two of the year's first show, Sebring was a bit cooler and windier but still a fine day as the photos show. I would guess crowds were as good or better than yesterday not even counting a large contingent of ROTC candidates visiting for the day. Zenith continued to garner lots of attention for their supersized SuperDuty CH-750 variant. Larger wings (six feet more span) and tail feathers are mated to a common 750 fuselage (construction time for which has been reduced through higher tech). 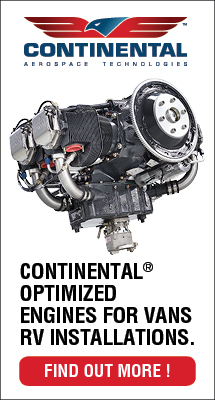 The SD is powered by an Aero Sport Power IO-375 producing 205 horsepower. The show example was a three seater that grosses at 1,900 pounds. An 1,100 pounds empty results in an 800 pound useful load. This is the model with the distinctive Unpanel™ instrument system that works like a swivel-mounted flat screen TV in your living room (but better because it's in your airplane). 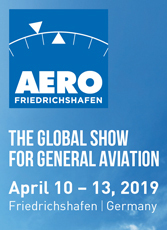 Video will be coming… Aeroprakt USA displayed an A22LS model, the Ukraine design featuring vast expanses of clear plastic that deliver massive visibility. The show model had tundra tires with rather unique "footwear" as its tricycle gear used surfaces closer to fenders than wheel pants. They won't provide any drag reduction but will help keep mud or debris splatter off the wings and fuselage. The A-22 also had sliding windows useful for aerial photography. 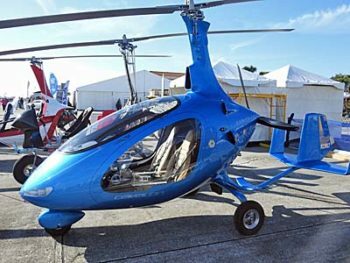 AutoGyro USA is now a regular at airshows as the clear European market leader showed their line of models, including their very handsome Cavalon done in a brilliant blue. 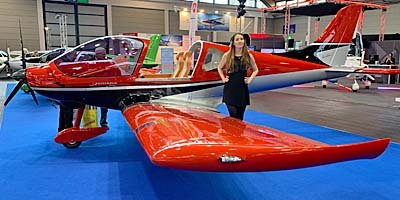 This model is rare in gyroplanes by offering two-place side-by-side seating. Despite the full enclosure, visibility is broad thanks to wide swaths of artfully curved clear plastic. The German company has evolved their designs while producing large numbers of units and it shows throughout the design. The company also displayed their open cockpit MTO Sport variation with the protective side rails. 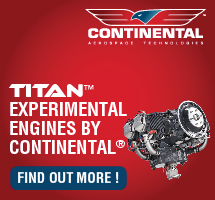 It was fun to get caught up with John Williams of Titan Aircraft. 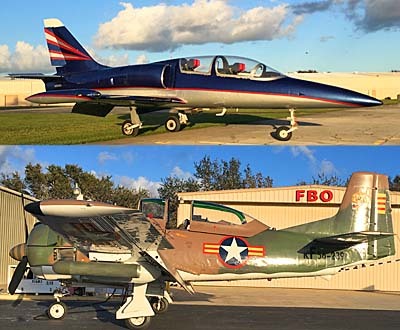 After making more than 800 of his Tornado light kits in various configurations, his Ohio company has focused on his T-51 Mustang replica. 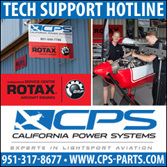 Starting with a 100-horsepower Rotax 912 T-51 has evolved all the way up to 400-horsepower Corvette engine that produces 4,000 fpm climb rates yet manages to burn only 10-12 gallons an hour at cruise. Around 200 have been sold and more than 100 are flying. Video will be coming… Indoor displays benefitted from those getting out of the wind. We shot a video interview with Duc Hélices propellers to learn about their super-easy prop pitch adjustment allowing you to fine tune the blades for specific performance. Using a special allen wrench in a single motion, changes in half-degree increments can be made by an owner while traveling; very slick. The French company plans a U.S. facility in the next year to better serve a growing customer base in America. 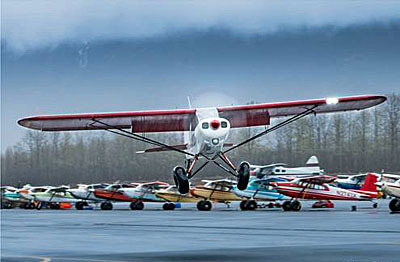 Beringer debuted a new wheel for aircraft doing bush duty using big-boy Alaska tires. As always the hardware is gorgeous from this best-in-class French company supported by a U.S. operation. A special brake unit fits the split hub wheel, which allows fitting of the tire without jamming a tire iron against the wheel edge. Airframe builders keen on the new wheel include Just Aircraft, CubCrafters, Rans, American Legend, and more. Day two logs us half way through Sebring 2018 and the weather forecast continues good. If you're in the state, come have a look. Day two of the year’s first show, Sebring was a bit cooler and windier but still a fine day as the photos show. I would guess crowds were as good or better than yesterday not even counting a large contingent of ROTC candidates visiting for the day. Zenith continued to garner lots of attention for their supersized SuperDuty CH-750 variant. Larger wings (six feet more span) and tail feathers are mated to a common 750 fuselage (construction time for which has been reduced through higher tech). 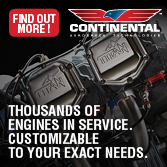 The SD is powered by an Aero Sport Power IO-375 producing 205 horsepower. The show example was a three seater that grosses at 1,900 pounds. An 1,100 pounds empty results in an 800 pound useful load. This is the model with the distinctive Unpanel™ instrument system that works like a swivel-mounted flat screen TV in your living room (but better because it’s in your airplane). Beringer Aero USA announced an expansion of the French company's U.S. presence on what they call "The Last Frontier." 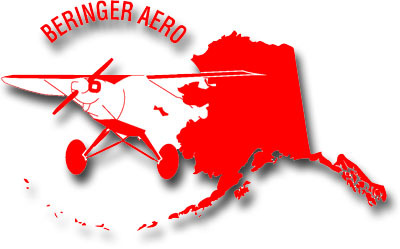 Known for its best-in-class wheels, brakes, and related components, Beringer opened an office at the Birchwood airport in Alaska to wide their network and offer customer support. Alaska is one of the most aviation-friendly locations on Earth… partly as they are so dependent on aircraft for transportation. Beringer Aero USA announced an expansion of the French company’s U.S. presence on what they call “The Last Frontier.” Known for its best-in-class wheels, brakes, and related components, Beringer opened an office at the Birchwood airport in Alaska to wide their network and offer customer support. Alaska is an airplane lover’s state. Reportedly one in 50 residents of the largest American state are pilots, compared to around one in 650 in the “lower 48.” No wonder really, as the vast state has only a handful of roads and most of them are in Anchorage or en route to Fairbanks. The rest of the enormous state is largely accessibly only by aircraft. 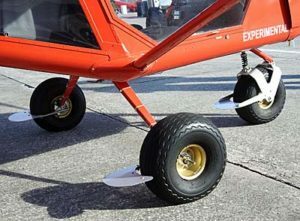 “The Alaskan Landing Gear and a complete range of wheel and brake systems are nearing certification and will be available to all Cub owners and pilots soon,” announced Beringer. 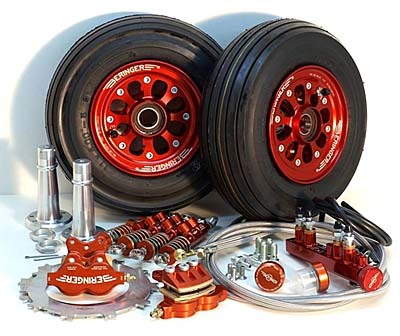 “Our wheel and brake kits raise the level of safety thanks to efficient and progressive braking action combined with the strong and reliable design of the wheels.” Weight savings comes as an added bonus, the company said. 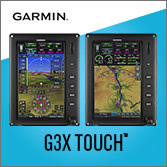 For those trying to keep their flying on a budget, here's an excellent choice, the X-Air LS. This last week, I trekked to FAA headquarters in Washington DC, an action that consumed three days of my time. 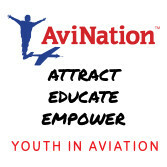 This was a third visit in six months to meet with top ranked FAA officials, as two organizations combine forces to attempt bringing useful change to light aviation. I won't long dwell on the effort yet I admit it feels good to advance the ball down the field. 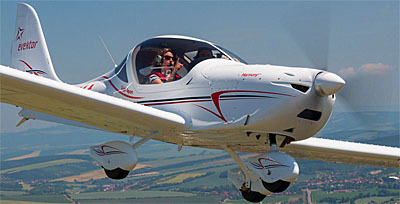 The U.S. Ultralight Association (USUA) represents pilots of light aircraft. 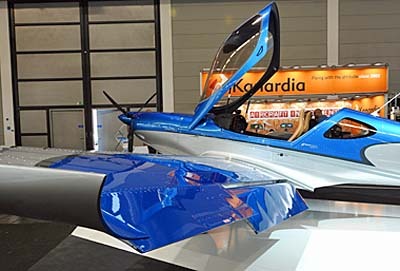 The Light Aircraft Manufacturers Association (LAMA) represents the light aircraft producer and business community. USUA, headed by Roy Beisswenger, and LAMA, chaired by your faithful reporter have made a dynamic duo since early 2014 when we embarked on a mission of advocacy. EAA and AOPA plus GAMA do some similar work and they do it well. However, they have a focus other than for recreational sport pilots and the not-certified light aircraft they fly. While LAMA and USUA gladly work with the other organizations whenever possible, it was obvious that those fine groups could not represent light aviation in the same dedicated way. USUA and LAMA are laser focused on the task. 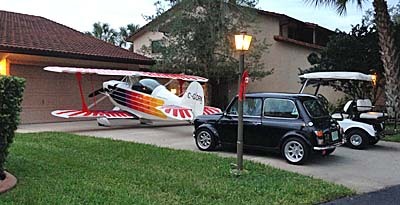 Here's a resident with the multiple cool toys to get around: Christen Eagle (now from Aviat), an original Mini, and golf cart. 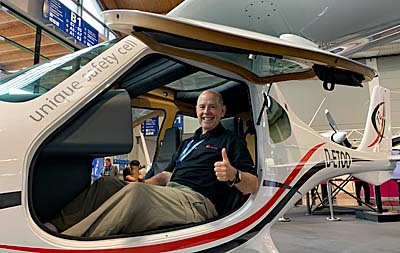 Following advice from experts, our long list of initiatives was reduced to four: • Electric Propulsion (first for ultralights and later for LSA); • Special LSA status for ready-to-fly gyroplanes (selling briskly around the world but restricted in the USA); • FAA approval to allow training in former ultralight trainers and other aircraft (a longer story for another time); and finally, • Aerial Work, an important push to allow LSA to function as work aircraft beyond current roles of flight instruction, glider towing, and rentals. LAMA and USUA believe positive steps will make the industry more secure and stable, will give pilots more chances to make a living in light aircraft, and will more generally keep affordable aviation healthy and able to continue providing interesting aircraft that can be bought by regular folks. We think the effort is worthwhile and hope pilots and manufacturers will continue to lend support. This is a labor of love, I must add; no salaries are earned for this work. On a more fun note... around these words you see a series of images that have almost nothing to do with FAA (except all of them have to be registered, etc., ad naseum). These airplane photos are from my home base of Spruce Creek Fly In, otherwise known as Florida airport 7FL6. I live in this community comprised of 1,600 homes, more than 600 of which have attached hangars. To get from the runway to your home means a tour by taxiway. These two beauties aren't in my price range, but they're fun to watch. 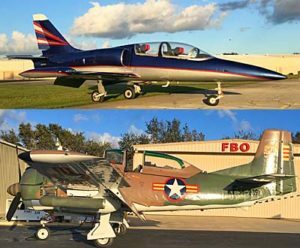 On top is the L-39 Czech military jet in modern paint; on bottom is a North American T28 Trojan in warbird paint. Indeed, "the Creek" as many residents abbreviate it — nearby townsfolks always seem to use "the Fly In" — is blessed with taxiways and roads totaling some 33 miles, so I've been told. My wife, Randee, and I enjoy riding our bicycles all around the community. With that many miles and considering residents are respectful and careful, bike riding the Creek is a joy. This is doubly so considering I regularly get close-up looks at airplanes like the ones sprinkled here but with many, many more types not pictured. The number changes as pilots buy and sell, but I'd guess we have nearly 700 airplanes based at this one airport. I've also been told 7FL6 is the world's largest private airport. Naturally, Randee and I ride Rans bikes. The only airplane and bicycle producer, Randy Schlitter, sold his bicycle manufacturing company a couple years ago, but before he left the business to focus on aircraft, we acquired two of his bikes and we love them. My is a recumbent; Randee's is what's known as a crank-forward design. Both are so easy to ride, Randee has questioned how much exercise she gets riding for an hour. In this post Black Friday weekend post and what with Christmas rushing at us like a fighter jet on afterburner, I want to draw your attention to the new 2017 Beringer Aero calendar. The preeminent wheel and brake company offers a collection of gorgeous photos that can make your office, home, or hangar that much better decorated. Sure, I know we all have our iPhones, Androids, and tablets, but nothing really beats a large-format, high quality printed calendar. Get yours while they last and in time for the holidays. 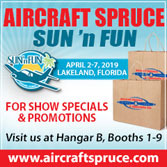 You pilots can share this post with your spouse and make a not-so-subtle hint that this would make a fine gift for their favorite aviator. 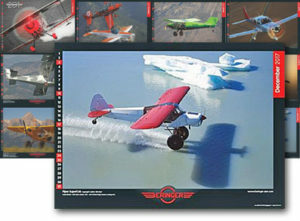 Beringer's calendar features airplanes equipped with the company's distinctive orange-ish wheels, brakes and landing gear. In glorious color, each page measures about 12 x 17 inches and a spiral spine allows the calendar to hang flat. The French company's calendar is available for $25 (including any applicable tax; plus shipping) from this email address. In the video below you can learn more about the newest products from Beringer and hear a few words about their entire product line. You'll enjoy hearing Claire Beringer give you a tour. This last week, I trekked to FAA headquarters in Washington DC, an action that consumed three days of my time. This was a third visit in six months to meet with top ranked FAA officials, as two organizations combine forces to attempt bringing useful change to light aviation. I won’t long dwell on the effort yet I admit it feels good to advance the ball down the field. 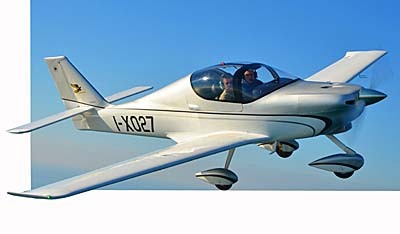 The U.S. Ultralight Association (USUA) represents pilots of light aircraft. 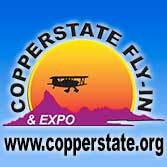 The Light Aircraft Manufacturers Association (LAMA) represents the light aircraft producer and business community. USUA, headed by Roy Beisswenger, and LAMA, chaired by your faithful reporter have made a dynamic duo since early 2014 when we embarked on a mission of advocacy. 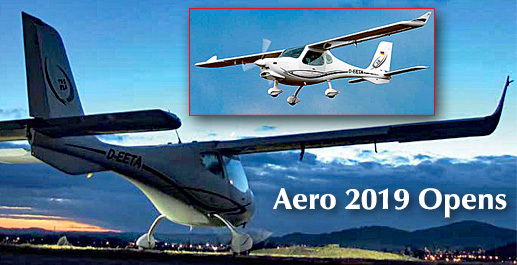 EAA and AOPA plus GAMA do some similar work and they do it well. However, they have a focus other than for recreational sport pilots and the not-certified light aircraft they fly. Elements are basic components of nature. As in our first part, I see Oshkosh Elements as fascinating ideas other than airframes or engines. 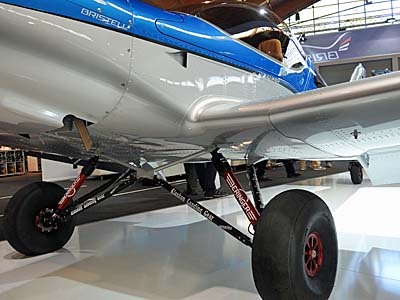 One such worthy idea is Beringer's new anti-groundloop tailwheel. Before we talk about their innovation, though, let's take a quick glance at tailwheel design popularity. 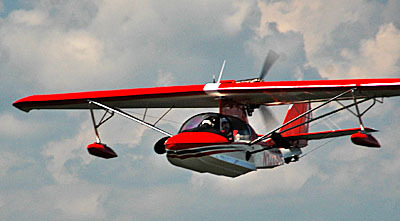 Cub-like models and other taildraggers account for more than 20% of the LSA fleet today. 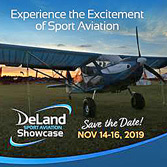 Tricycle gear may dominate but lots of pilots believe a tailwheel aircraft is the "proper" gear for an airplane with more machismo, more bush-capability, more aerodynamic efficiency (less drag) ... you name it, many pilots just love taildraggers. Tricycle gear pilots, however, not so much. The reason? Trigear landings tend to self correct regarding keeping the airplane straight on the runway. Tailwheel aircraft threaten the dreaded ground loop. Since this sounds — and can be — scary, lots of Cessna or Piper-trained pilots avoid flying taildraggers. Several other reporters covered Beringer's press conference and reported on the company's tailwheel offering but none fully explained it, in my opinion. More importantly, no report I found showed the pilot's action to make this a functional component. I'll change that here, thanks to help from publicist Tim Kern, who assists Beringer. "Why is a taildragger unstable when taking off or landing," Tim asks? "When wind exerts a lateral push, pilot skill alone cannot always prevent the plane from doing a ground loop." Tailwheels tend to turn in the direction where force is applied and this can produce a ground looping tendency. That's why the famous P-51 Mustang has a pilot-lockable tailwheel. However, the Mustang, or any locked tailwheel, cannot be steered when locked; directional control comes solely from aerodynamics via the rudder surface. After seven years of work leading toward a patent, Beringer's (literal) family of engineers goes one better than Mustang. According to my fellow journalist Marino Boric writing for EAA, "Beringer's solution [is] a tail wheel incorporating a double-pivot mechanism. 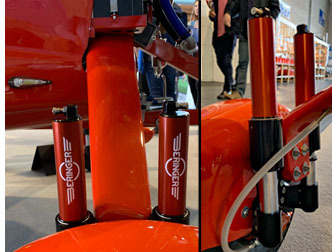 The rear pivot (see photos) is in line with the wheel axle for precise control [by eliminating the trail] on takeoff, landing, and taxiing turns; the forward pivot unlocks to allow full articulation when needed for turning tightly around a main wheel." Another journalist, AIN's Matt Thurber, wrote: "On normal tailwheel designs, the pivot axis of a steerable tailwheel is offset from the wheel axis, and the distance between the two is called the trail (illustrated photo), according to engineer Claire Beringer. "When you increase this [trail], maneuverability increases but stability decreases." 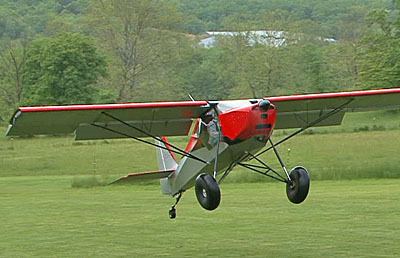 While pilots appreciate the trail feature that allows the tailwheel to pivot for improved ground handling, if there is a disturbance during landing, such as a crosswind gust, the force on the tailwheel tends to cause the wheel itself to [steer] just when it would be more helpful for the pilot if the wheel were to remain straight. "The [tailwheel] spring is not strong enough to retain the tailwheel in its axis," she said. With the wheel in the locked position, the wheel can't pivot but can still be used to steer a limited amount right or left. 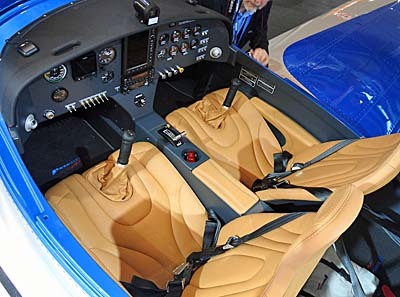 By pulling a cable in the cockpit (simulated by "A"), the pilot adds the trail to the tailwheel assembly, which can then pivot in any direction." Summarizing then, aviation has three possibilities for taildraggers since the old tail skid: a tailwheel in fixed or locked position; the classic trailing, steerable tailwheel; and the new best choice: Beringer's no-trail innovation. With the latter, the pilot enjoys full movement while taxiing to the runway, sets the knob or lever (depending on how the kit builder or manufacturer implements this) to "lock" the tailwheel into limited steering for take off, and leaves it that way throughout landing. When ready to taxi back to parking, the pilot "unlocks" the tailwheel and again has broad steering control. Short of gross pilot error, Beringer's creation virtually eliminates the chance of the dreaded ground loop. 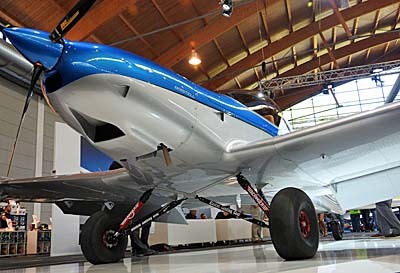 Now pilots who grew up flying trigear airplanes can lose their fears and perhaps try a fun tailwheel aircraft design. Well done, Beringer! Elements are basic components of nature. As in our first part, I see Oshkosh Elements as fascinating ideas other than airframes or engines. 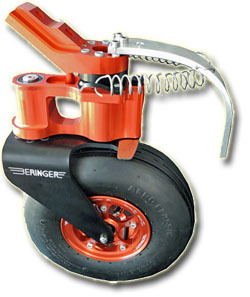 One such worthy idea is Beringer’s new anti-groundloop tailwheel. Before we talk about their innovation, though, let’s take a quick glance at tailwheel design popularity. 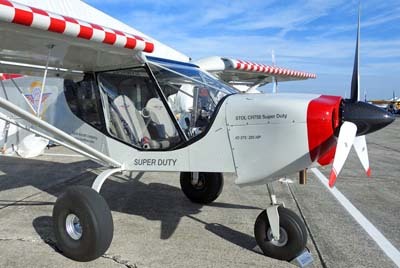 Cub-like models and other taildraggers account for more than 20% of the LSA fleet today. 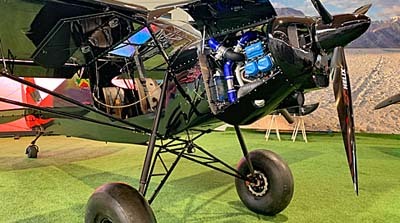 Tricycle gear may dominate but lots of pilots believe a tailwheel aircraft is the “proper” gear for an airplane with more machismo, more bush-capability, more aerodynamic efficiency (less drag) … you name it, many pilots just love taildraggers. Tricycle gear pilots, however, not so much. The reason? Trigear landings tend to self correct regarding keeping the airplane straight on the runway. Tailwheel aircraft threaten the dreaded ground loop. Since this sounds — and can be — scary, lots of Cessna or Piper-trained pilots avoid flying taildraggers. Several other reporters covered Beringer‘s press conference and reported on the company’s tailwheel offering but none fully explained it, in my opinion.